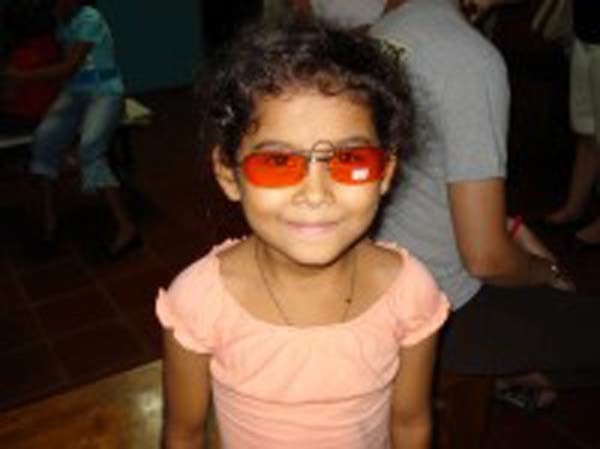 10 young adults from St. Mark Lutheran Church traveled to the village of El Castillo to assist with an eye care project sponsored by project leader John Jones, advisor Cheryl Gibson RN, and Managua Optometrist Dolores Jarquin. 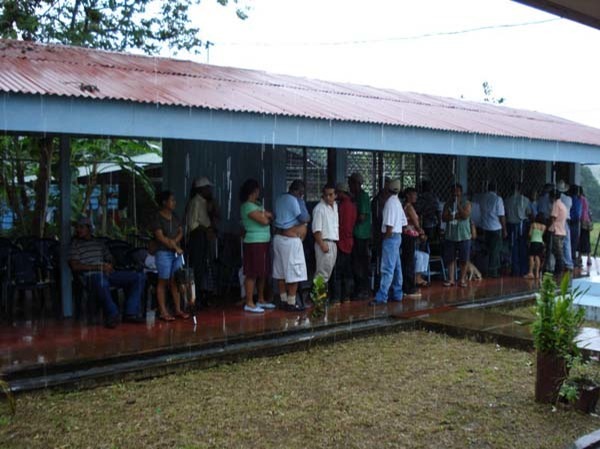 During the 3 days at El Castillo they examined 540 patients. After an initial examinations the patient's vision were either tested via an auto refractor, or through a combination of distance and up- close materials. They then prescribed the best pair of reading and or distance eyeglasses for each patient. 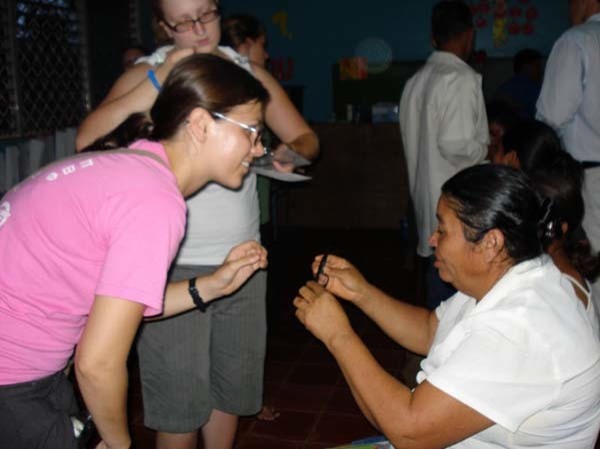 Many of the younger patients (under 30 years old) needed no glasses, however there were a number of the younger patients that needed distance glasses. 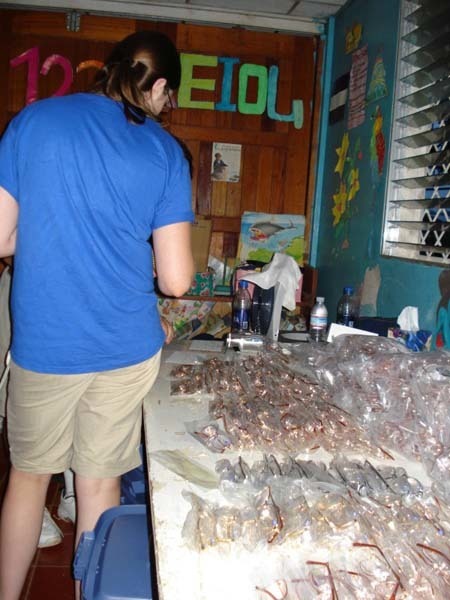 They gave out 462 pair of prescription eyeglasses and 560 pair of sunglasses. 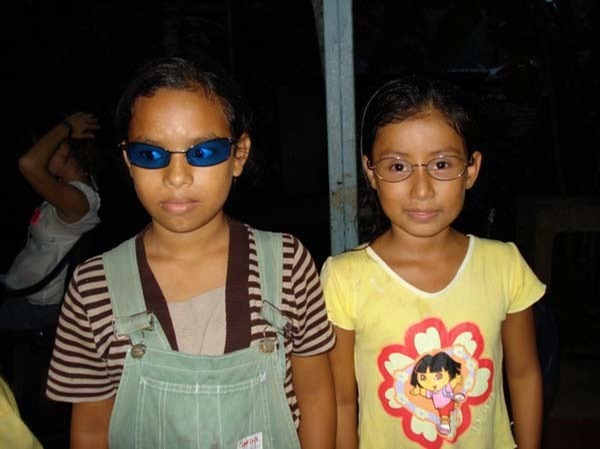 The sunglasses were needed to slow down the growth of cataracts and pterigiums. 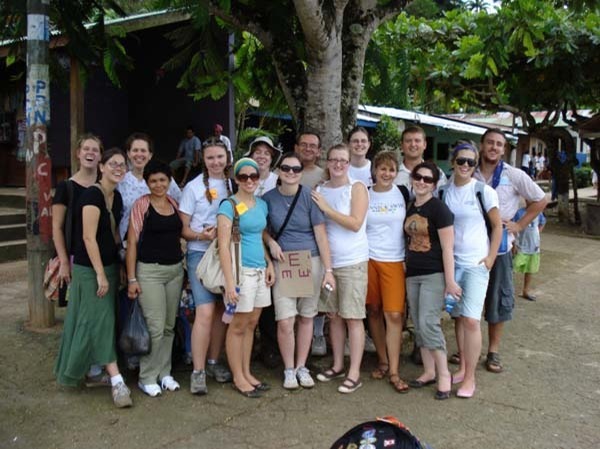 Young adults from the church were Ashley Durham, Stephanie Austin, Michael Austin, Stephanie Springer, Laurel Shapiro, Elise Jones, Nicole Larson, Julie Swantsrom, Rachel Zurakowski, and Kristine Warren.